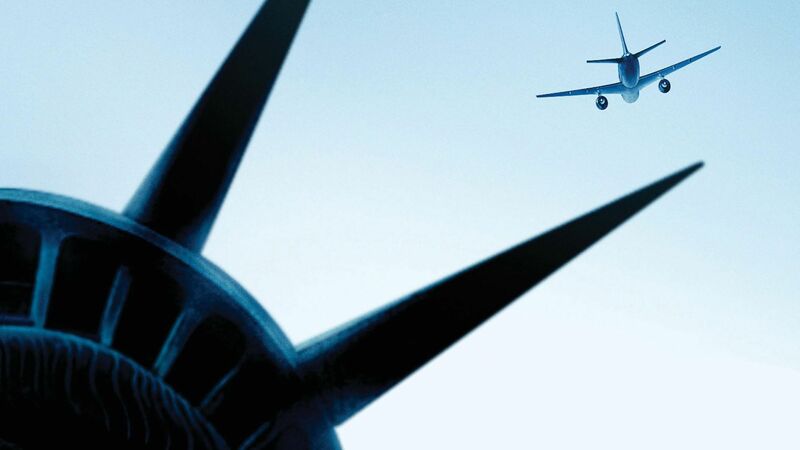 NEW YORK – A New York City movie theater has pulled the trailer for “United 93,” which chronicles in real time the hijacked United Airlines flight that crashed into a Western Pennsylvania field on Sept. 11. The AMC Loews Lincoln Square 12 theater in Manhattan said it made the decision after viewers complained they found it too upsetting. “I don’t think people are ready for this,” theater manager Kevin Adjodha said. Universal Studios in Los Angeles, meanwhile, said it would go ahead with plans to show the trailer for the thriller, which is scheduled to open in theaters on April 28. Adam Fogelson, Universal’s president of marketing, said the trailer would be shown only before R-rated movies or “grown-up” PG-13 ones. “United 93” is scheduled to make its world premiere on opening night at the Tribeca Film Festival in Manhattan. The festival, which was created to help lower Manhattan recover economically from the attacks, begins April 25 and runs through May 7. The trailer begins with images of passengers boarding the plane on a sunny morning, and builds to a disturbing scene that includes actual news video of a plane about to hit one of the World Trade Center towers. It then returns inside Flight 93 as terrorists begin hijacking it and a passenger calls his family to tell them of the impending disaster. The Families of Flight 93 have said that Universal Pictures will donate 10 percent of the first three days’ grosses to the memorial. Where to begin? I guess I could start with my absolute disdain for the philathropic smokescreen Universal is attempting with their pathetic 10% donation of the first three days gross (that makes my last 401k plan of a 25% match up to 6% look charitable), but that’s not my major issue. What assholes decided to make this film? If you’re someone that considers 9/11 to be historically synonymous to Pearl Harbor, how ready do you think America circa 1946 would’ve been for a similar flick? America had already wrapped up WWII (while bombing Japan to hell in the process) yet I’d bet that the raw nerve of December 7, 1941 would’ve been wide open. We’ve done everything except make a complex global situation less complex, and now the first 9/11 movie is on the horizon for release. We all know what happened on that horrific day, but know absolutely nothing about the seeds that led up to that day. I guess in this world of reality tv and goverment positioning, that doesn’t mean anything. Personally speaking, I don’t appreciate the attempt to capitalize on my raw nerves and emotions surrounding the event. Then again, it took me more than a year to simply sit through the news footage of the planes crashing into the WTC due to being forced to walk though the rubble of Ground Zero for over a year on my daily commute from Brooklyn to Jersey City, so I might not have the average American’s perspective on this one. Next > Gito Gito Hustler And The Spunks: Banzai!! !